^ Jones, W.T. The Classical Mind: A History of Western Philosophy. Harcourt Brace Jovanovich. 1980: 216. , cf. Vita Marciana 41. ^ The Complete Works of Aristotle, edited by Jonathan Barnes, 2 vols., Princeton University Press, 1984. Adler, Mortimer J. Aristotle for Everybody. New York: Macmillan. 1978. A popular exposition for the general reader. Bakalis Nikolaos. 2005. Handbook of Greek Philosophy: From Thales to the Stoics Analysis and Fragments, Trafford Publishing. ISBN 978-1-4120-4843-9. Bocheński, I. M. Ancient Formal Logic. Amsterdam: North-Holland Publishing Company. 1951. Bolotin, David (1998). An Approach to Aristotle’s Physics: With Particular Attention to the Role of His Manner of Writing. Albany: SUNY Press. A contribution to our understanding of how to read Aristotle's scientific works. Guthrie, W. K. C. A History of Greek Philosophy, Vol. 6. Cambridge University Press. 1981. Knight, Kelvin. 2007. Aristotelian Philosophy: Ethics and Politics from Aristotle to MacIntyre, Polity Press. Lewis, Frank A. 1991. Substance and Predication in Aristotle. Cambridge: Cambridge University Press. Lloyd, G. E. R. 1968. Aristotle: The Growth and Structure of his Thought. Cambridge: Cambridge Univ. Pr., ISBN 978-0-521-09456-6. Lord, Carnes. 1984. Introduction to The Politics, by Aristotle. Chicago: Chicago University Press. Melchert, Norman. The Great Conversation: A Historical Introduction to Philosophy. McGraw Hill. 2002. ISBN 978-0-19-517510-3. Reeve, C. D. C. 2000. 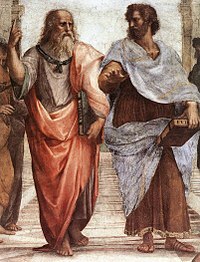 Substantial Knowledge: Aristotle's Metaphysics. Indianapolis: Hackett. Rose, Lynn E. Aristotle's Syllogistic. Springfield: Charles C Thomas Publisher. 1968. Ross, Sir David. 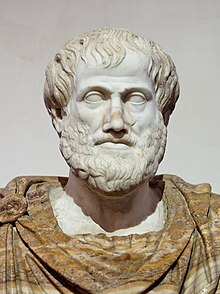 Aristotle 6th ed. London: Routledge. 1995. 引文格式1维护：冗余文本 (link) An classic overview by one of Aristotle's most prominent English translators, in print since 1923. Scaltsas, T. 1994. Substances and Universals in Aristotle's Metaphysics. Ithaca: Cornell University Press. Strauss, Leo. "On Aristotle's Politics" (1964), in The City and Man, Chicago; Rand McNally. Taylor, Henry Osborn. Chapter 3: Aristotle's Biology. Greek Biology and Medicine. 1922. （原始内容存档于2006-12-06）. Veatch, Henry B. Aristotle: A Contemporary Appreciation. Bloomington: Indiana U. Press. 1974. For the general reader. Woods, M. J. (1991b). “Universals and Particular Forms in Aristotle's Metaphysics”. Oxford Studies in Ancient Philosophy supplement. pp. 41-56.